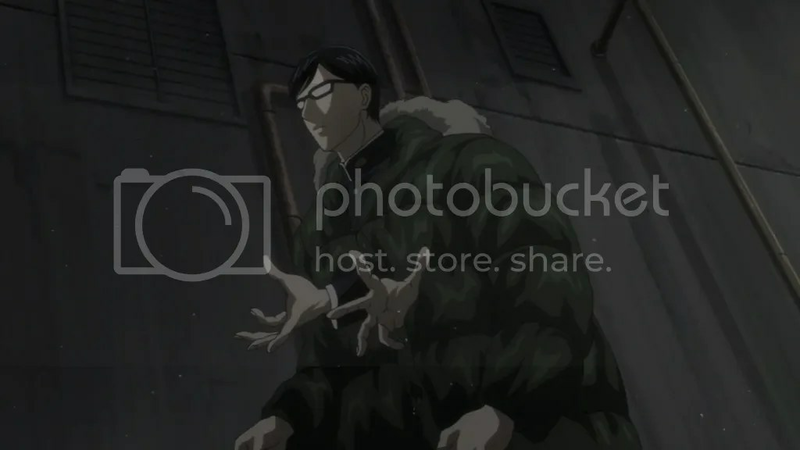 All posts tagged Sakamoto desu ga? I went into the show expecting a few things and Sakamoto desu ga? delivered that. Basically it was just one cool guy acting cool, and when some other people in the show saw that and though “Hey, wouldn’t it be cool if we make him do something uncool?”, it actually made the protagonist look even cooler, if that’s possible. The formula with slight variations remained for the full cour, but I can only applause the mangaka for thinking up many very different scenarios to tell virtually the same thing. 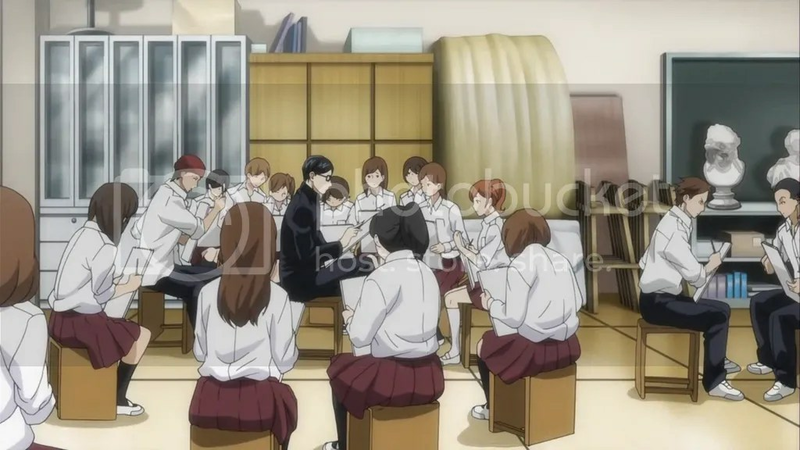 Personally I just didn’t find all the jokes very funny and the whole repeating idea, even if very diversely portrayed, after several episodes ceased to be that interesting – pitting anyone against Sakamoto was doomed from the start since the result was always very clear. 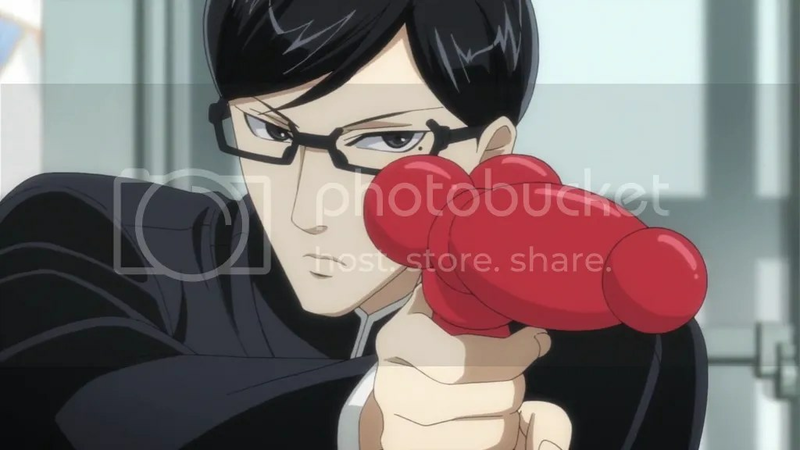 Sakamoto being this perfect guy didn’t really make me care about him and hardly any other character was interesting or at least not too simplified. These and other things make me think I’ll just forget the show next week even if it had its moments. Sakamoto desu ga? receives the award of the most memorable character (guess who) of the season. Who doesn’t fancy a cool looking show from the period of WWII? One of the better aspects of watching anime is that you can approximately see how people lived in Japan during certain periods of time. 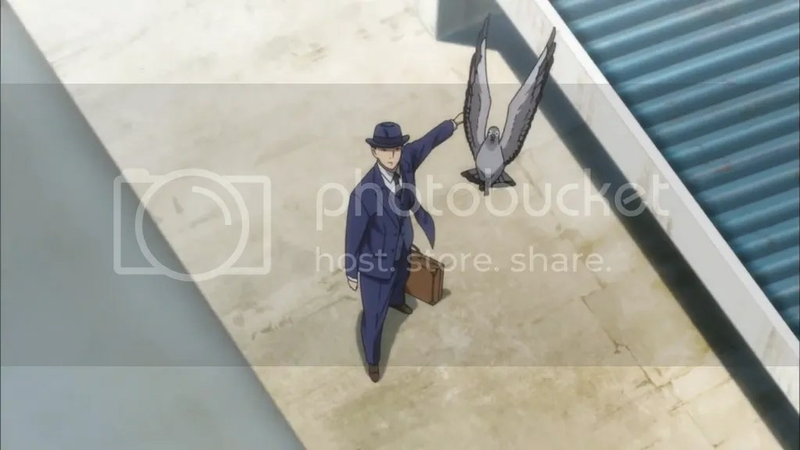 Joker Game grabbed the idea and sometimes made it really interesting to watch but those pleasant moments were diluted by other not so good stuff. Spy stories generally are a very captivating thing to experience but the show managed to keep the viewers fairly bored. Changing the whole cast nearly every episode is a very dangerous gamble at best of times and that paired with stories that don’t form a cohesive and engaging narrative or some plot armor for the good guys doesn’t look like a mix for a good show. Not to mention that all the spies looked pretty much the same. And come on, if you have some cool dudes, why wouldn’t you use them all together? 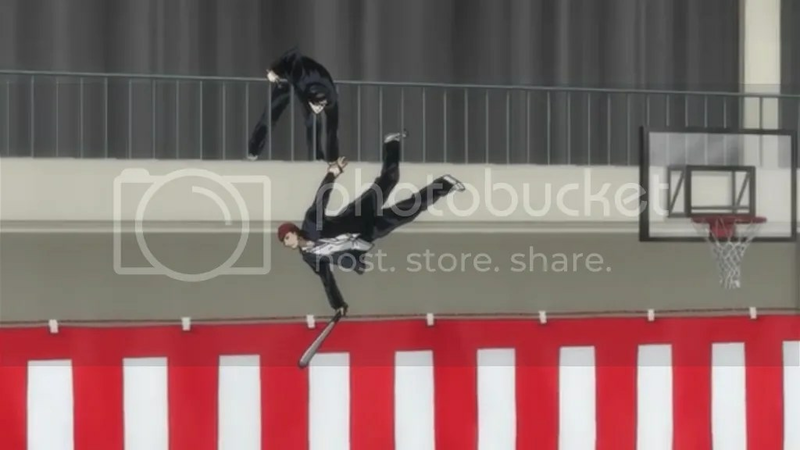 Composition of Joker Game wasn’t the best I’ve ever seen. 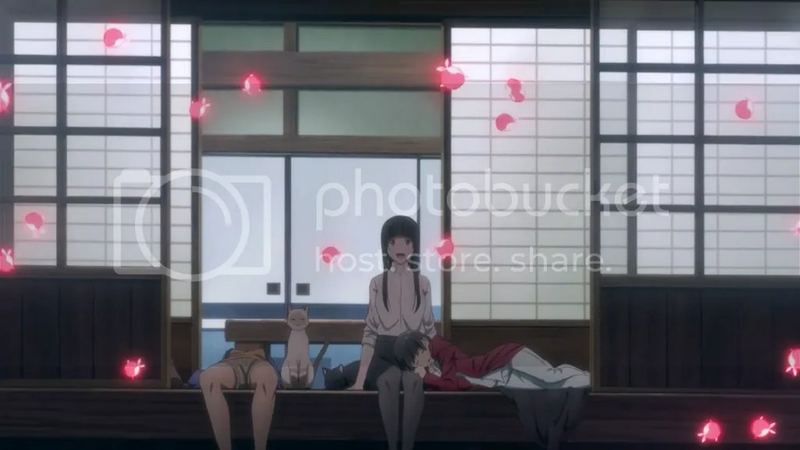 After the second episode all the episodic stuff began quite unexpectedly with all hopes for a single but good story fainting, the ending felt like a random episode from the middle of the show and it itself wasn’t that great. 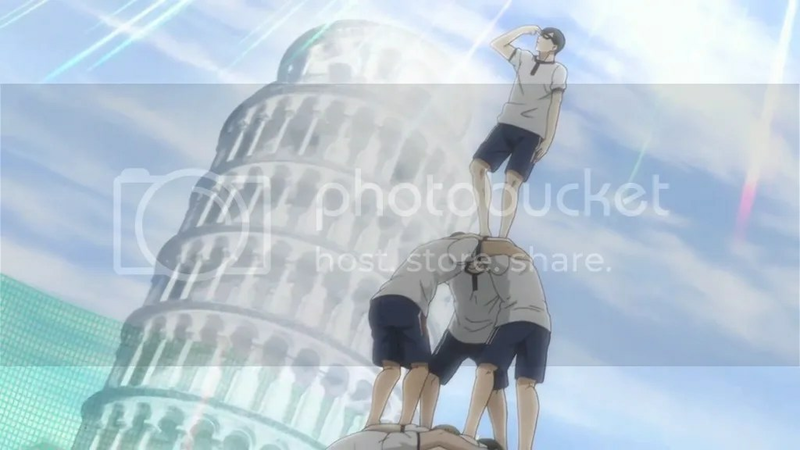 I guess even Production I.G sometimes blunders. Koutetsujou no Kabaneri was fun. 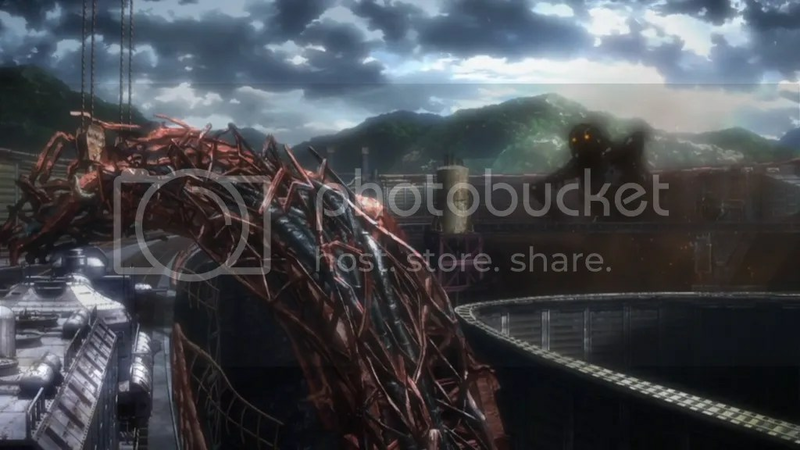 Certain elements of many aspects of the show had flaws but how couldn’t it be fun to watch people running and slaughtering zombies even if they form some enormous piles hugely reminiscent of Titans of a certain other show. Things that deserve applause are plentiful. Let alone the artstyle from character designs to lush backgrounds, no shyness of blood and gore, maybe not the most original but nonetheless quite intriguing setting. The first half of the story did surprisingly well introducing everything and especially portraying mistrust and fear based selfishness to the point of stupidity among people that must worry almost every second about their lives. Later on the villain that had gone nuts was introduced and that felt pretty generic considering all the available possibilities concerning the setting. Ultimately if more battered, all the important characters felt pretty much the same after the first half and after the whole show. Looking how much effort was put into the show I guess the staff are hooping a green light for a second season and well, if they get one and come up with some engaging story, I’m all in. Koutetsujou no Kabaneri receives the award of most impressive scenery of the season. It’s not that often that a show grabs me right from the first second (especially with the soundtrack) and practically holds its place the whole time. 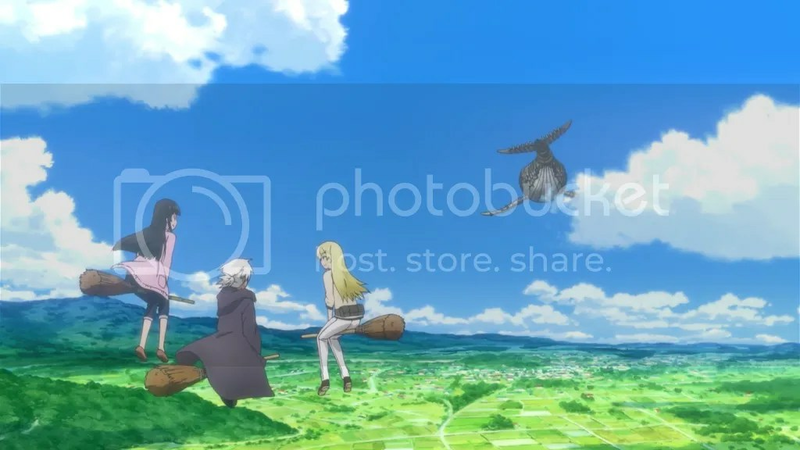 Flying Witch did exactly that and I’m quite amazed it did. 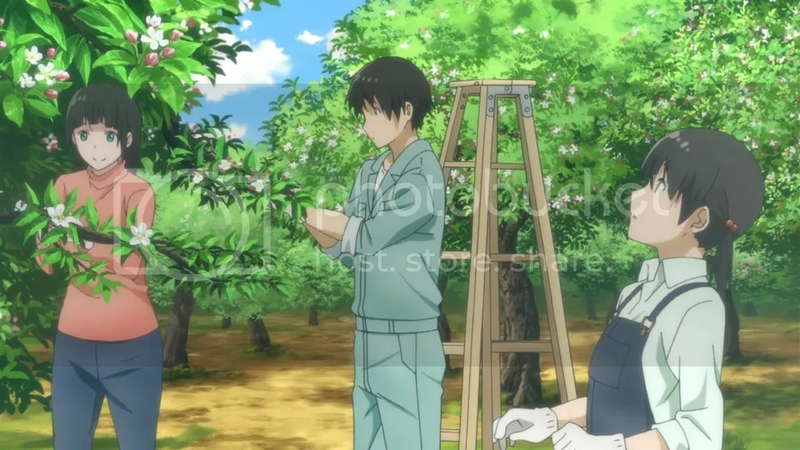 It’s very difficult to make a slice of life show have that special healing ingredient, but I believe the mix of mundane tasks, setting in a countryside (and mainly not in a high-school for once), and a bit of friendly magic tricks works perfectly. As the genre suggests, everything goes on pretty slowly and all the details about dealings of everyday life steal much time from potential expansion of all the magic stuff. Again, that either tells to go and find the manga or just hope for another season. To be frank, the show feels a bit like an introduction to all this world with witches and stuff and one or two extra episodes about exactly that certainly wouldn’t have spoiled anything. But I can’t complain. Interactions between characters that genuinely feel like a true family with everyone’s little quirks, likes, dislikes and preferences make a very compelling work of art. 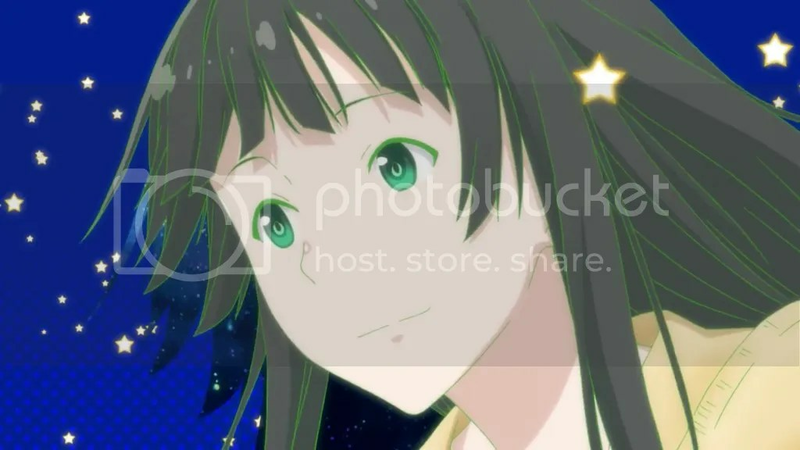 Flying Witch receives the award of favorite OST and favorite anime of the season. 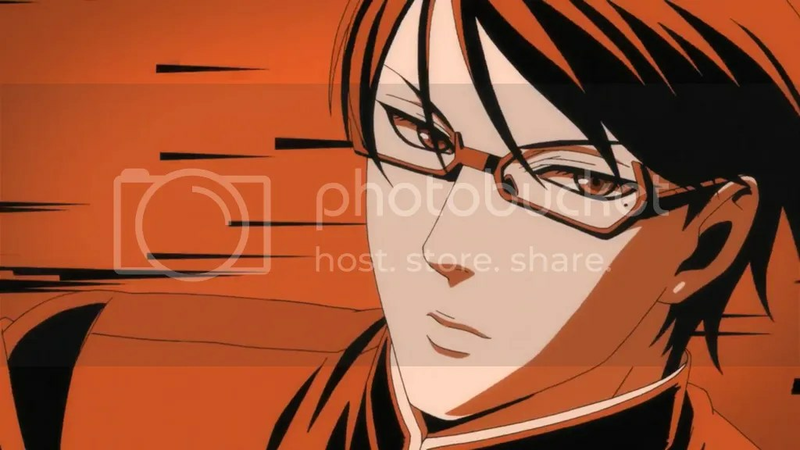 Favorite OP without much thought was that of Sakamoto desu ga?. The animation without much sophistication emphasized once again who’s the best guy, but the chosen style and very unpredictable song stood out among all the other OPs. Favorite ED must be that of Koutetsujou no Kabaneri. I’m definitely not alone who just enjoys the voice of Aimer. Flowing peaceful images pretty much worked as a contradiction and deepened the effect of all the bloody events of the show. 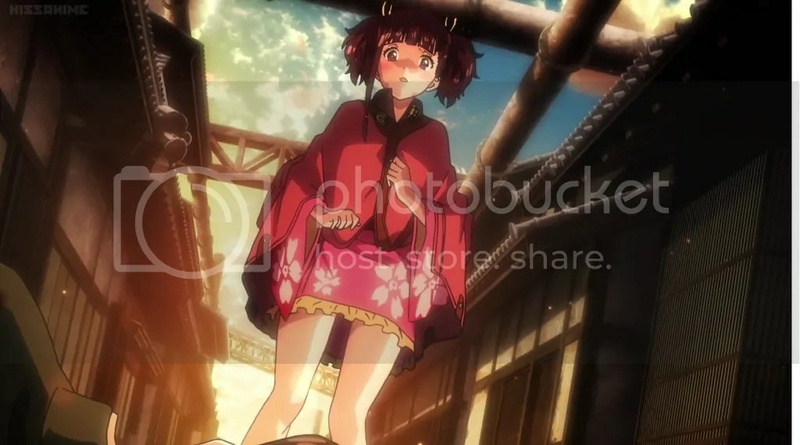 Plus you can’t be amazed by the quality of the images, especially that of Mumei. Even if it looks almost like a very elaborate fan art. I expected some flashy ending and, well, I kinda got one. Everything fell into places though I can’t really say I’m absolutely happy about that. 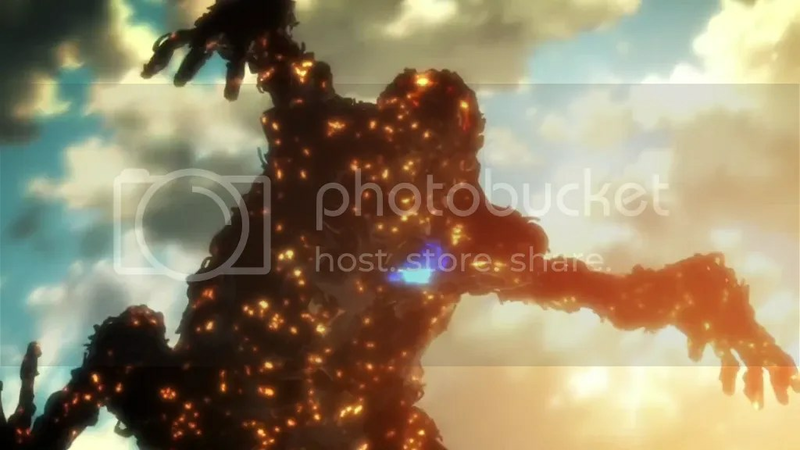 Monster that had Mumei at its heart as well as Ikoma stopping a train with his bare hand (and superpowers) certainly looked cool but I guess I thought that as spectacular as the whole show was, the finale should have used a Michael Bay kind of performance. Well, it needed to wrap everything up so that used much time. Both Mumei and Ikoma remained alive despite the stakes not at all being at their favor. Somehow “and they all happily rode into the sunset” ending don’t really fit a show as bloody as this. Yes, Takumi died earlier and Biba received the same fate but especially for the villain it didn’t make much impact. 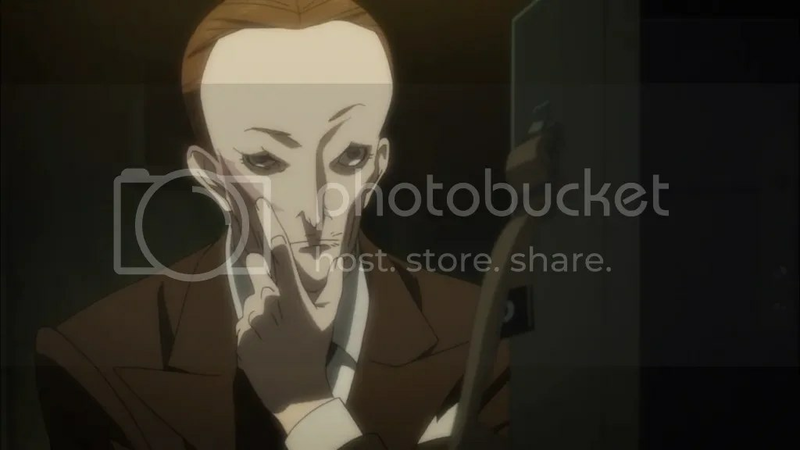 At least for me quite for a while it was almost obvious that he will end up dead, as he was introduced pretty late, I doubt many people will remember Biba after a week or two. Anyway, I can’t deny that the show was enjoyable despite any possible nitpickings and flaws. On an unrelated note we learned one serious truth – whenever you want to charm a girl forever you just need to talk about rice paddies. The show just ended and that felt quite weird. Well, just like “oh, we got a new transfer student”, “oh, he’s cool”, “oh, he’s really cool”, “oh, he just left us”. Yes, all those faces covered with pies behind the window and lots of tears make up a feeling that something’s about to end, but it just as the whole show didn’t really affect me emotionally. What of those other characters that no one really cares about? Anyway, Fukase tried to remain his type of cool but it looks like even he was finally subdued, though I just don’t understand how leaving the hall in a bit humiliating way can change things – he hasn’t graduated yet, if he’s so powerful to use inescapable suggestions and mind games, why would he change anything in his life? Acchan got nothing for his showing off. I guess everyone just made peace with the fact that he’s an idiot who can be easily manipulated and that’s not his fault at all, apparently he’s also a victim. So yeah, the show ended though it felt like a finale only marginally. Nothing really substantial resolved, only shown that one particular guy is cool. A bit underwhelming. 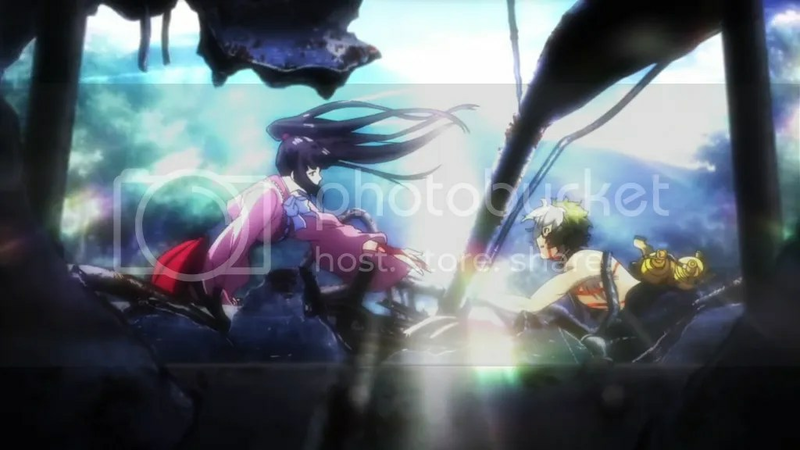 Tagged 2016, Koutetsujou no Kabaneri, Sakamoto desu ga? Eye candy – that’s what the episode was. 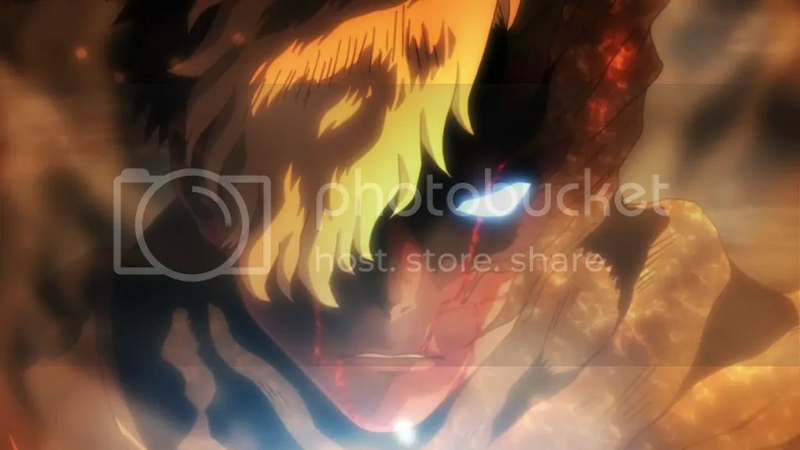 Wit Studio just knows how to visualize elevated emotions. The soundtrack also managed to deepen the meanings of the scenes very well. Sadly the story is not so polished – somehow the fact that Ikoma after his fall is not only safe and sound but he even hasn’t lost his glasses makes all his emotions feel a bit stale. Biba somehow managed transform from very dangerous and therefore bound and guarded prisoner to unbound controller of the scene, as if not one guard was able to escape all the panic and deal with him. Some effectiveness was lost transitioning from “gotta save everyone as fast as possible” to “nah, I’d rather cut my hair”. Anyway, with all pros and cons, the show deserves praise for being enjoyable. I’m already in my mind savouring all the visuals of the culmination. Even if the story’s end fails to impress, it’ll certainly look pretty damn good. I’m very unsatisfied. Just how dumb people must be to want to go one-on-one with Sakamoto after countless times of failure? Why would anyone guess that a slightly melting snowball has some gunpowder within? Quite weird that we didn’t get a whole shot of Sakamoto’s snowman (I guess, snowwoman), if she was that big of a deal. 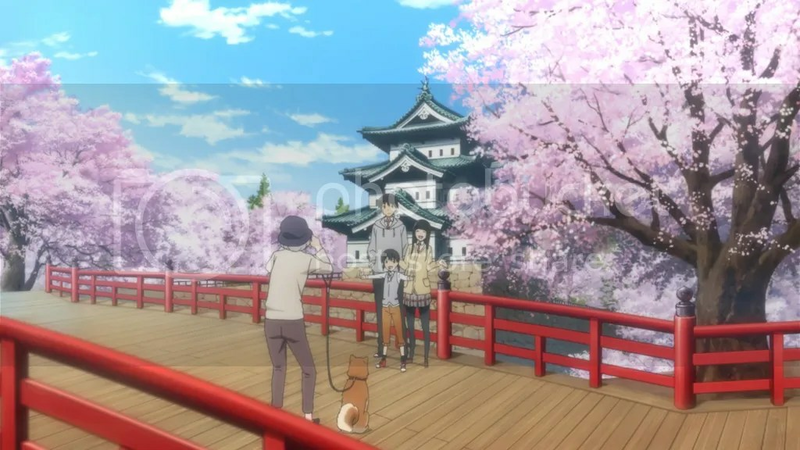 Directing is also a bit lacking – any motion is just minimal and you can clearly see that it’s pretty much just manga panels with very little motion added. The whole episode is just a slow build up so Acchan could face Sakamoto (and lose miserably – how else?) thus maintaining Fukase as a grand villain who uses others to achieve his goals. 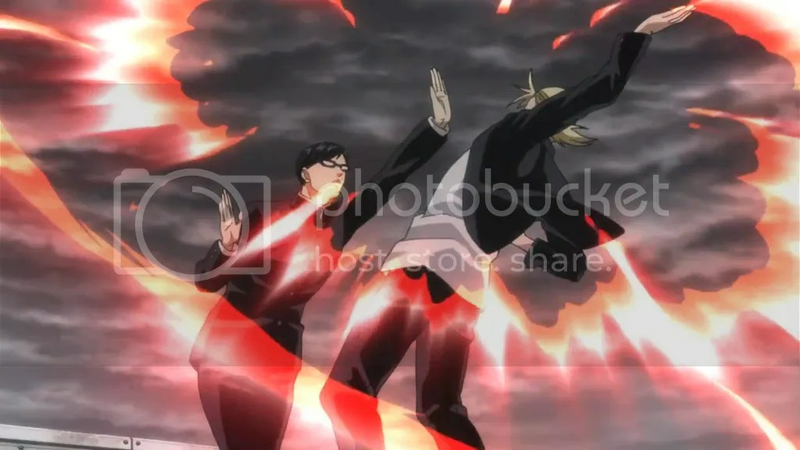 Still, we have already seen countless times how Sakamoto overcomes everything and anything, so even starting to develop possible matches is leading virtually nowhere. I just haven’t seen anything that would point into Fukase being the least bit dangerous for Sakamoto or Acchan being even marginally competent to do anything. Oh well, looks like the next episode will be the last. I don’t know what the writer was thinking (and eating) to come up with a living (I guess?) and flying whale made of rocks that used to have some people living on it. Nonetheless, it was quite stunning. Even the CG of the whale looked pretty well. Yes, you can perceive that it’s not hand drawn, but it blended well with everything but gave the whale some otherwordly quality. 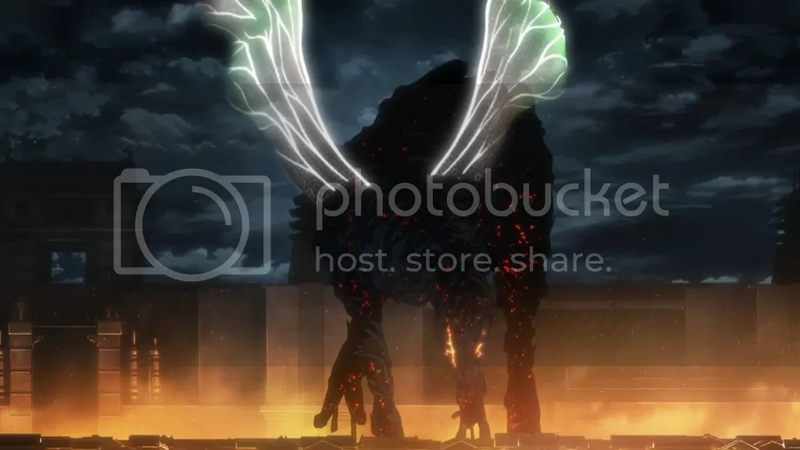 I guess these days when CG still can’t replace the usual animation, it works the best when used to emphasize some creatures or things that are a bit alien to the majority of the setting. Speaking about other things, bringing Anzu back was a great idea – this town is just too small for all the characters not to run into each other from time to time. 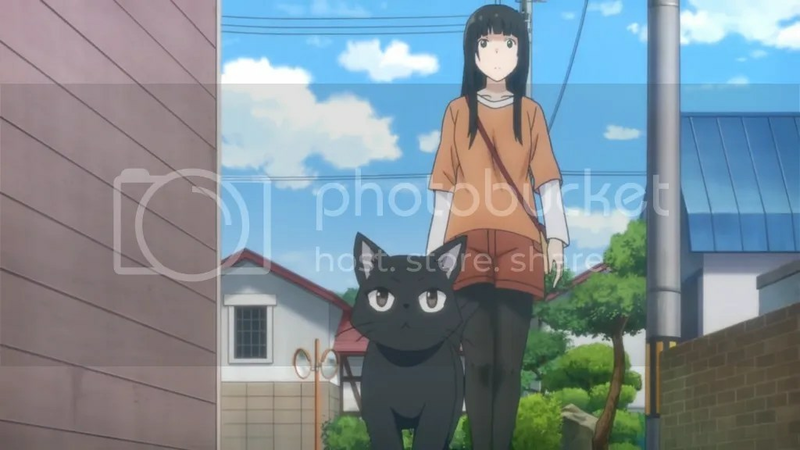 The episode managed to include moments of everyday life and some magical stuff – the main qualities that make Flying Witch a bit unique compared to other slice of life shows. Well, not very finale-esque, but I guess that’s only appropriate for a slice of life series. Many of the side characters earned a glimpse though overall nothing exceptional happened. Some fabric shopping and sewing looked very mundane, but that was bested by another appearance of pretty random creatures – earth fish that can also be air fish and like sake with some snacks. You probably can’t get more random than that. It would be hilarious if they can’t live in water. 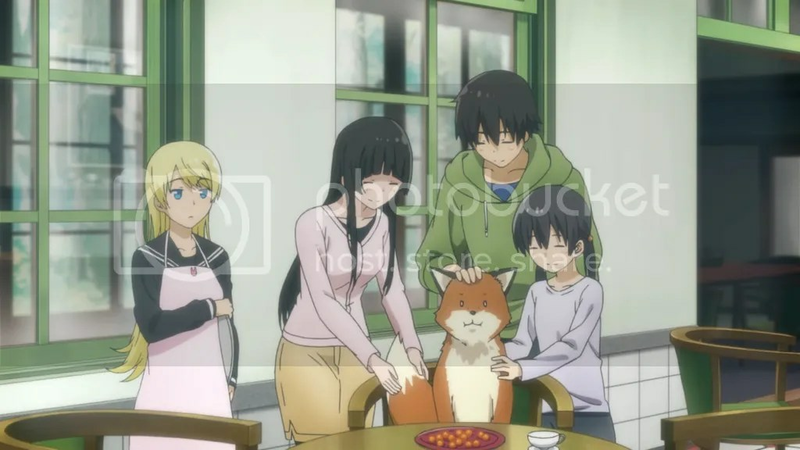 Still, weird as they are, they fit in the world of the Flying Witch and organic atmosphere which the show can clearly boast of is one of the crucial characteristic of a slice of life series. The show ended, but shots during the end-credits just screamed asking for a one more episode dedicated to the festival. 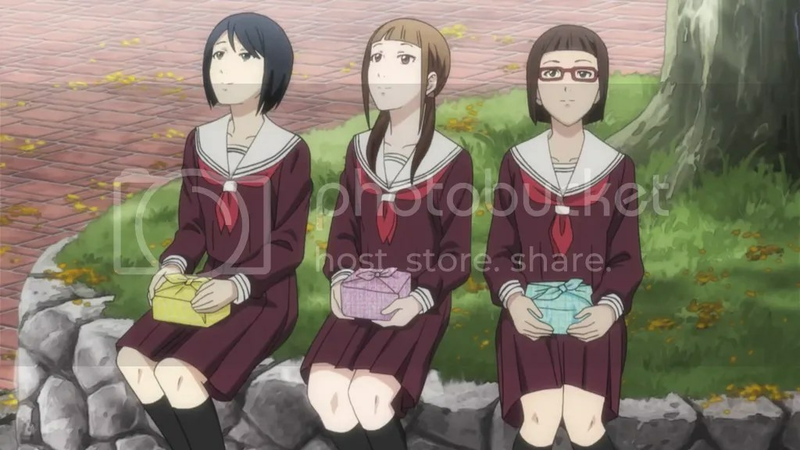 And not only that – a second season would be a great present for anyone who enjoys healing anime and manages not to see Flying Witch as boring. Tagged 2016, Flying Witch, Koutetsujou no Kabaneri, Sakamoto desu ga? Well, that was quite a heavy episode, even for this show. Backgrounds further emphasized that, when after claustrophobic train interior very impressionistic looking sky was shown a few times. Not that I fail to notice the beauty of the backgrounds other times. 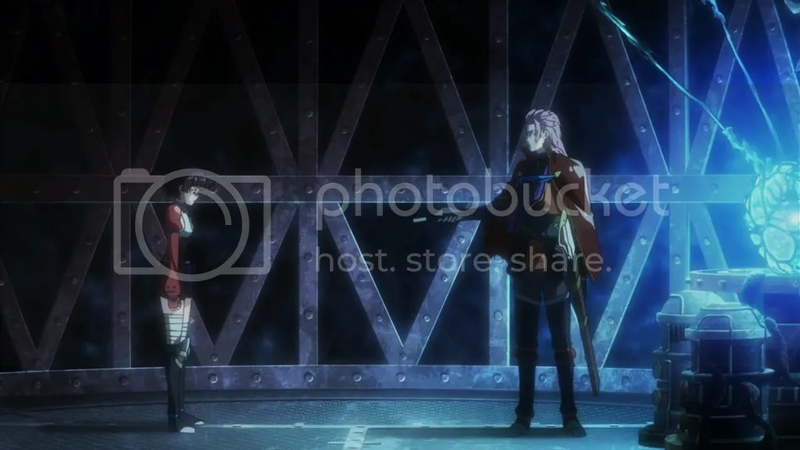 Going to the meat of the episode, Takumi’s death was unexpected, but it was probably for the best – the guy might have more impact being dead than alive, even if the death itself wasn’t that emotionally effective since Takumi wasn’t the most developed character. I don’t know what goes in Mumei’s head, but it’s pretty weird – having explicitly stated that Biba is a liar and seen what he’s up to, she simply does nothing, remains Biba’s pet and looks genuinely happy when told that Biba won’t hurt his captives if they behave. Well, I’m not sure what’s the best way of action for her, but girl, you can run away, you can free the captives, you can do millions of things, anything but remain dancing to the tune of Biba. By the way, does anyone believe that Ikoma died? Again, quite a mixed feeling about this one. I probably sound like a broken record, but the first part made a better impression in manga. Some jokes are just not that good when heard for a second time. Schubert was better off without sound – the actual singer’s voice differed too much from Sakamoto’s usual voice to be believable, the burp in the end also looked better in theory. Some moments are better imagined and conveying them can very easily break the spell of the whole joke. Moving to the second half, it was far more interesting to see that not only Sakamoto can think in this show. Hayabusa turned out to be not a rival but probably the most likeable and realistic person in the whole show. 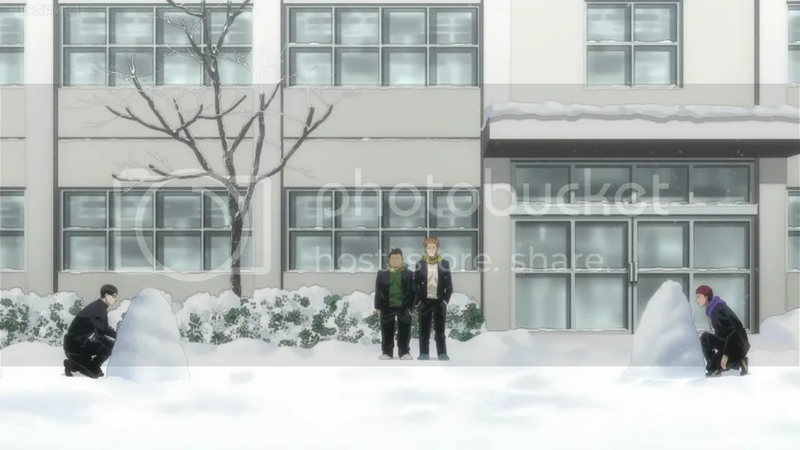 Nitpicking about only-in-anime moments (yep, two persons in the same coat certainly can look like one) aside, this episode provided not only some usual laughs, but also a bit of emotional hint, that when present, makes the show far more effective. Well, talk about some anticlimactic ending. The episode was everything except a finale with all the answers and farewells to the characters. 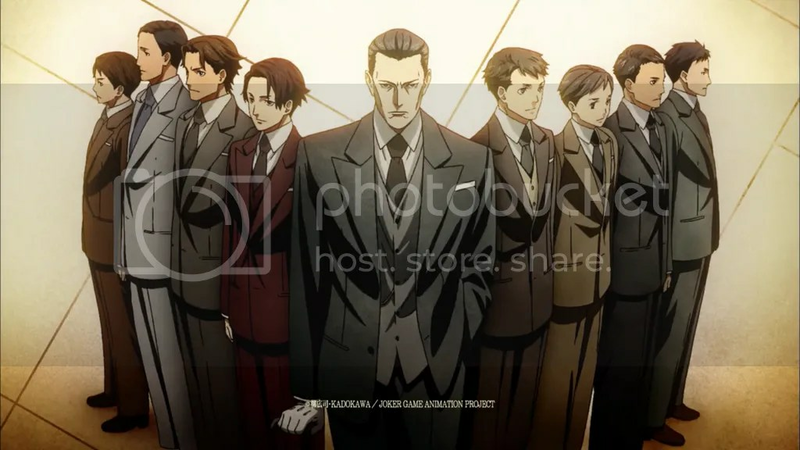 Oh wait, Joker Game hardly had any interesting characters. 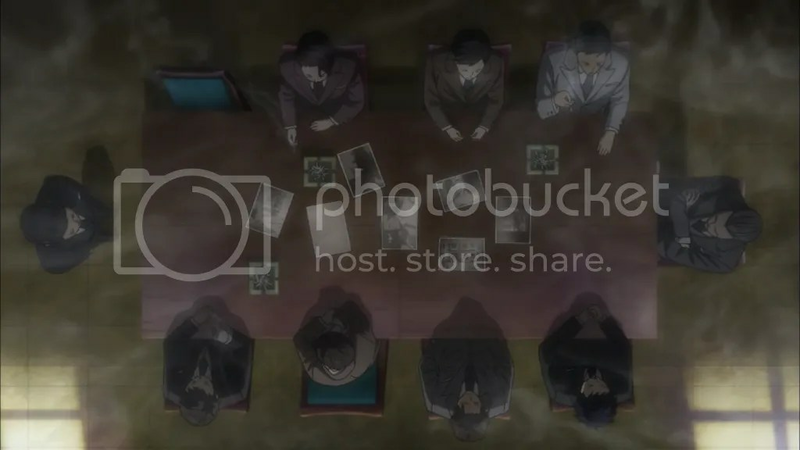 The only thing that may have hinted that this was the finale was some shots of all the spies together. Apart from that it was just an ordinary story. 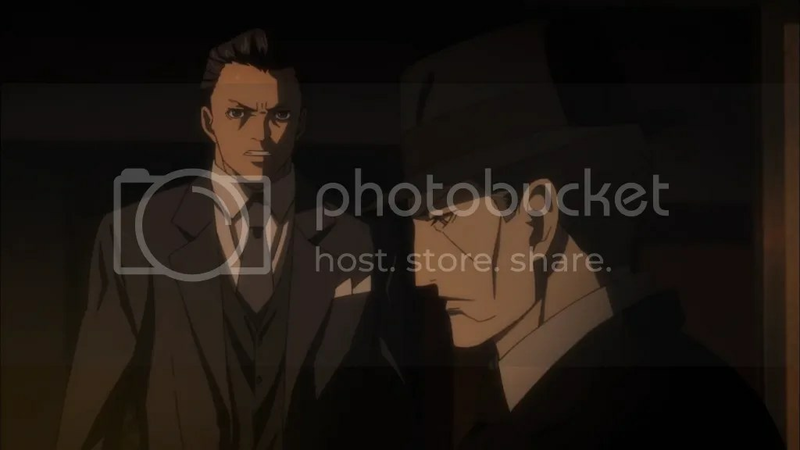 Yes, it’s good to see that not every one of the group was able to live the hard life of a spy, but please, put those things in some other place, not the last episode. Some women also may have been presented a reason to be offended as Yuuki generalizes abilities of both genders not that justly. What can I say? A man died, a man resigned, a man finally finished the series and is quite glad it ended with though some bitter aftertaste is left. Biba’s philosophy has been grounded by his actions, but I’m not sure if his perspective makes any sense. Yes, he’s a bad guy and I don’t agree with him, but his position doesn’t sound like it makes much sense, even in his point of view. Ok, he’s grudging over some past thing and because of that all the genocide should be seen as a revenge. Still, if he’s up to destroying all the cities, where would his resources come up from? How come none of his subordinates think anything about killing fellow humans and styling it as a liberation? 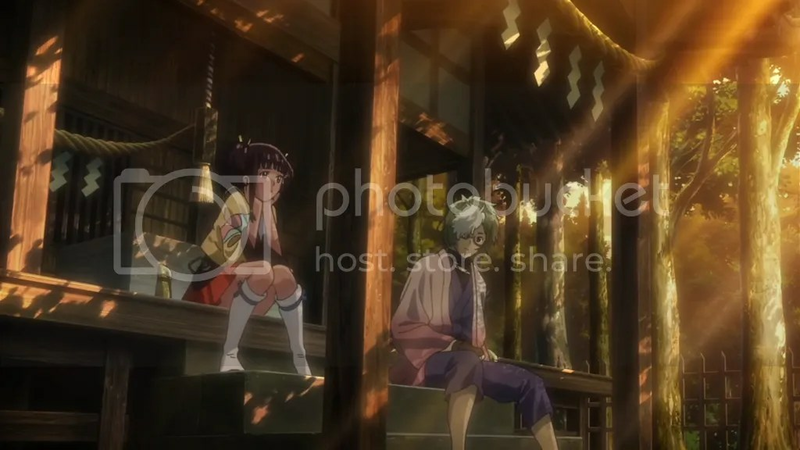 Is it really worth to set Mumei against Biba himself – some brotherly love filled words and probably he would have had one more Kabaneri at his side. I’d think it as an advantage, even if Biba doesn’t give a fig about her. By the way, how could a giant pile of dead bodies smash down a brick wall? Well, all the action was here, but the progression of the story somehow didn’t move me very much. After all, all the massacre we have seen before and this episode brought in very few new developments. Probably setting Biba up as someone more of a tragic hero and not a mad villain would have been a more interesting choice. To be frank, I was bored. Comedy wasn’t the shiniest thing this time and apart from that… Well, I guess finding out how some girls (and Kubota, how without him?) met Sakamoto again speaks about his originality and not that ordinary way of thinking when it comes to helping others, but we’ve seen that. Yes, it may be cute, or worth some applause, but Sakamoto has done way more entertaining deeds than that. Moving to the second part, was I supposed to get emotionally invested into some middle-aged housewife chasing high-schoolers? Changing genders by different clothing without anyone noticing is possible only in fiction. And really, what was the use of this segment? Watching someone showing some restraint towards something they shouldn’t do seems a good idea in theory, but I just don’t care about our housewife. Sometimes the show manages to throw some quite well made a tad emotional stuff or some ideas about morality between its usual bits of comedy, but this time I’m sorry – for me it didn’t work. I must be in quite a grumpy mood this week, for even my favorite show of the season didn’t manage to impress as much as always. Somehow I just felt disengaged, especially in the first half. 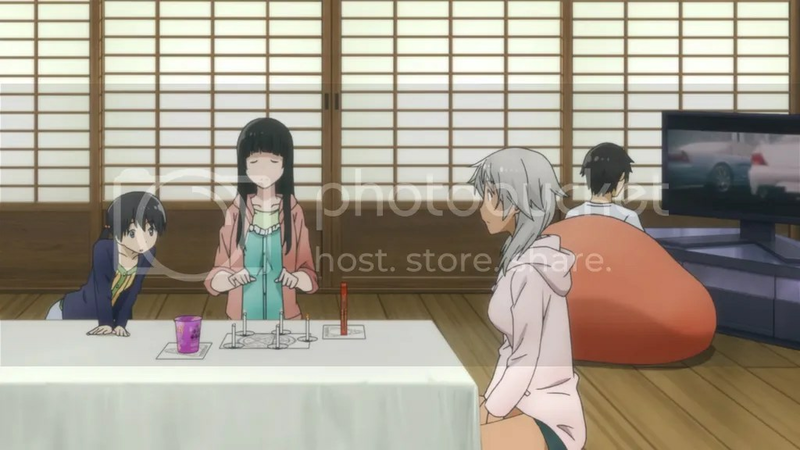 I think the best Flying Witch has to offer is interactions between its characters (which of course were present this time and were pretty enjoyable), some light-hearted comedy (which was not that apparent) and all the everyday life of a small town with all the nature and some magical stuff around. All these things were absent from the first half, so maybe that’s why it felt a bit filler-ish. All the apple-tree narrative was a lot closer to my liking, as all the lush scenery got time to shine, but it wasn’t really something as interesting as many things we have seen before. Only 2 episodes are left and I’d appreciate very much something a bit bigger in scale, to make a finale to be remembered, if it’s possible while not straying too far from the usual mood. 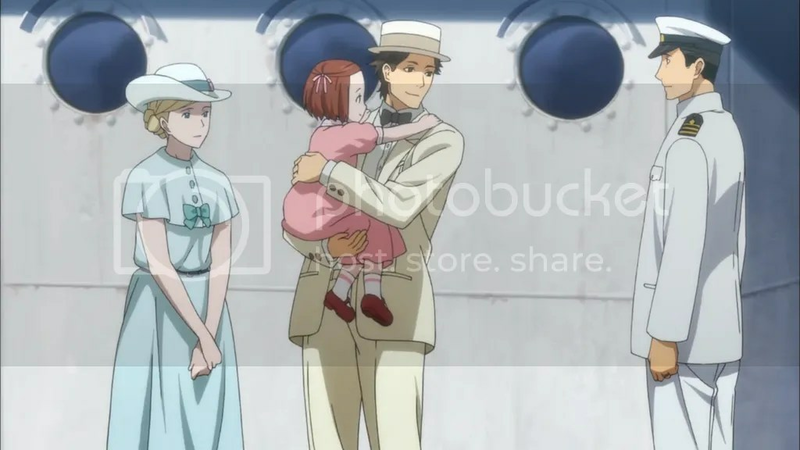 For once Joker Game showed that the life of a spy isn’t always rose-colored. Even if that comes from a fairly unpredictable accident and not from some professional hazards. Also, another quite satisfying piece of news is some scraps of the true backstory of Yuuki. As if the show itself has finally thought that cheating its viewers isn’t the best way to attract them. On the other hand, I’m not totally convinced that all of this story could possibly happen in the real life. The show loves conveniences, and this time wasn’t different. I doubt that German agents would have searched all the body thoroughly and missed the microfilm. What about Yuuki coming directly to retrieve it? Would he do the same thing for another spy half a world away? And all the circumstances that allowed him to see the body alone are very fortune based. Yet, aside from all those ramblings the episode had its own flavor and wasn’t my least favorite one. I didn’t expect a continuation from the last episode, but it happened, and as always, it wasn’t a disappointment. 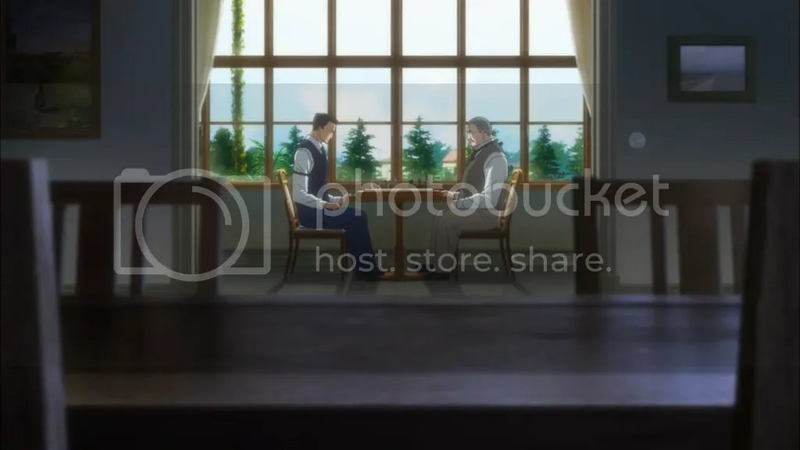 Well, it was not as interesting an episode as the last one for sure – the setting stayed the same, some random hosts and guests appeared and I would have loved to learn a lot more about those instead of just seeing them. I guess at this point the mangaka was still building up the world with many future possibilities so more characterization will be left for manga readers only. Well, not that I don’t enjoy the show. At least it was good to hear some references to past events – Harbinger of Spring and the Mandrake incidents both. The fox scene was made a lot funnier to me by one particular song that also questioned the sound of fox-speech. I wonder if the mangaka has heard it. The part after credits felt a bit random, but maybe that’s just Akane for you – playing with enhanced food coloring and stuff. I bet there was hardly a single person who would have questioned the survival of the D-Agency. As always, whatever the opponents think, Yuuki and his lads are just a step (or maybe more like a mile) ahead. Yes, it’s cool to have some intelligent spies, but when they succeed no matter what there’s no joy of accomplishment. I certainly wasn’t rooting for the other agency, but neither did I for Yuuki’s guys. Well, maybe a little, but just because in terms of likeable, charming and fascinating characters D-Agency scores 1% compared to 0% of their opponents. It’s not that I feel the need to empathize with the Agency, the show just mildly suggests that “well, if you have nothing else to do, then maybe, just maybe, you could like them. Please?”. Conveniences don’t help either – how would the “student” have known exactly what antidote to take? And that he needed an antidote or not say, a bullet-proof vest? 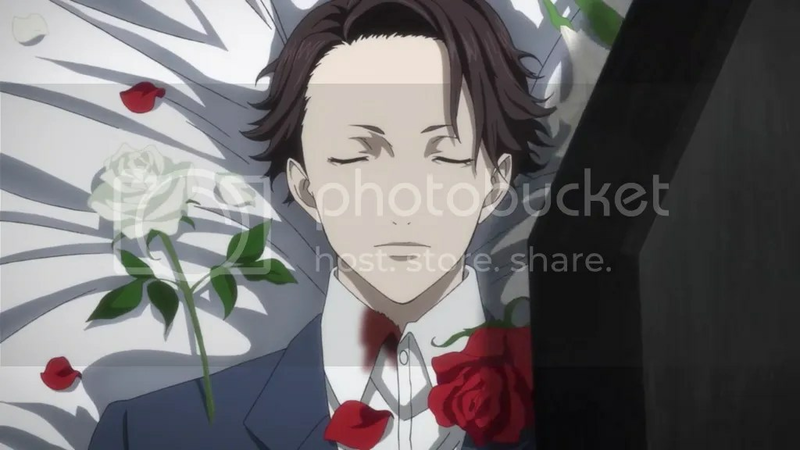 I guess that was Joker Game probably at its worst. Surely next week there will be an improvement, right? Right? The conflict appears and escalates. A bit more about Mumei’s past is revealed, but even if she wholeheartedly accepted Biba’s philosophy back then, it doesn’t seem very bright of her to follow him unquestionably even now. Yes, he (in her thought) made her strong and therefore alive. 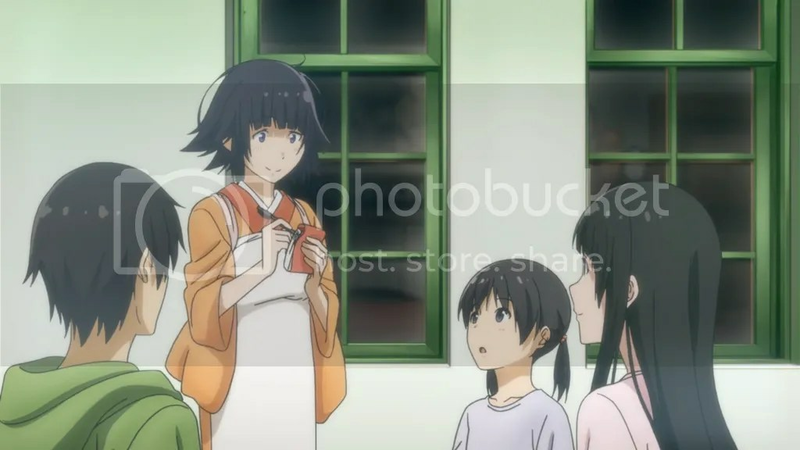 Yet, Mumei has traveled a long way with the Koutetsujou crew and actually helped them. Her role as a bodyguard in this light doesn’t really follow the philosophy that only strong survive and you must become strong yourself to remain alive. Mumei has shown that she is not the most clever girl, but doesn’t her beliefs and her actions feel contradicting? Blindly serving a man and unquestionably following his orders while his reasoning doesn’t really work? 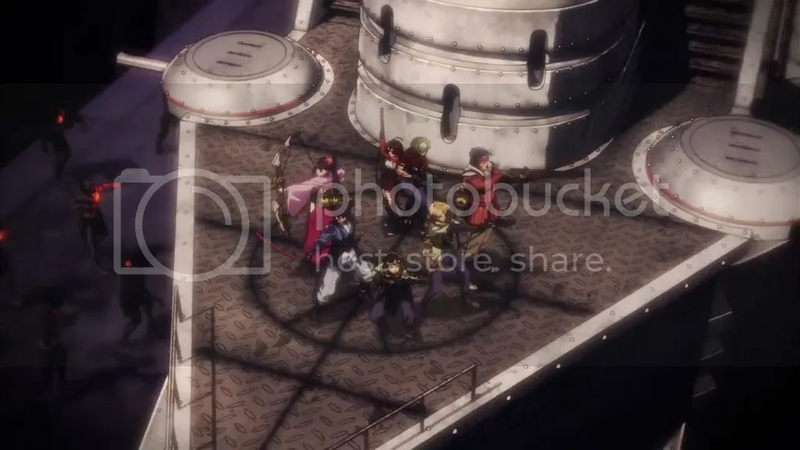 If the brother himself was such a fan of strong people, why his whole train is not stuffed with Kabaneri? We know who the villain is, but still Ikoma’s judging a person only by one action without any context wasn’t the smartest decision. Apart from all the tension the most interesting thing for me will be the unveiling of what exactly happened all those years ago that made Biba wanted dead. Somehow this week I wasn’t drawn in at all. No matter what villains the show will try to throw at Sakamoto – be it his classmates at first, Mr. 8823 later and now this Fukase guy – there’s no question if they all will be defeated. Yes, there’s some intrigue in how exactly that will happen, but still, any attempt to build any suspense is doomed from the start. Yes, the series is a comedy and I know that logic is not the main aspect, but for example, those two bad classmates behave like a bunch of idiots – why would you blurt out anything before even looking who stands behind the door? 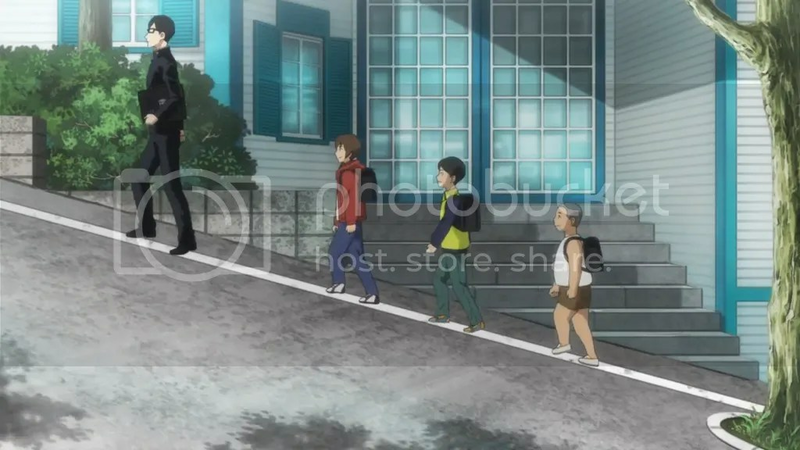 Hayabusas’s rescue party appeared out of nowhere, not to mention no one even spotting Sakamoto’s disguise as a tree. I get it, that’s exactly the point, but that’s just not my kind of humor – it’s more silly than funny. The show is really difficult to become invested emotionally in when the main guy is just an all-perfect alien and among others there’s just hardly anyone with either enough brain or enough characterization. There’s just no one for me to cheer on, to identify as or just to feel like a friend with. I guess I just have a different mindset than any of them.